Whenever I haven’t been outside in the garden and freaking out about our changing climate, I have been doing some sewing. So until we are flooded out, burned up and then crushed under rising wheat prices – Happy stuff!! – and linking up to more happy stuff at Freshly Pieced! 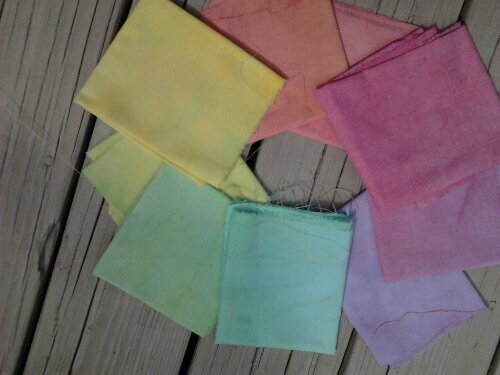 This is from my most recent fabric dying class (though the yellow fabric is from a different batch) – we dumped dye on 4 different fat quarters and then layered them in a bag and squeezed so the colors all blended together. And, if you’re wondering, it’s even easier than it sounds. Dyeing is so easy! 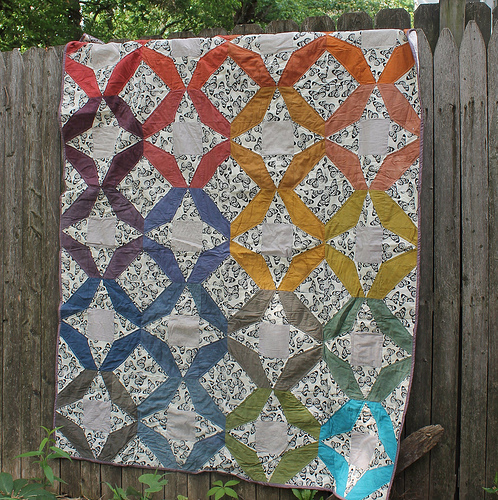 It is just the effect I have been wanting for a while for a half square triangle quilt – so look out world! Then this red – scarlet – red violet – violet red? What is this color? Whatever it is, it is a sheet that will soon be another whole cloth quilt. 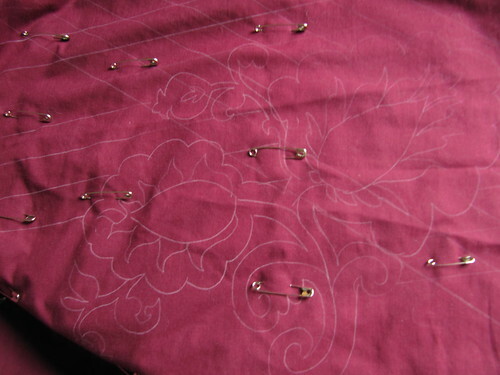 I drew these crazy flowers on it – they are based on an Amy Butler design via Free-Motion Quilting. PS, I drew the lines on this using my AWESOME Fons and Porter Mechanical Fabric Pencil which comes with white and gray lead. 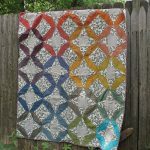 A gal sitting next to me had one in a quilting class I took once, and I bought one on the way home from class (the local quilting store didn’t sell them, so I got it from my frenemy Jo-Ann). I have probably spent well over $100 on various fabric marking implements for embroidery and quilting and this is by far my favorite. Now that I think on that $100 figure, I realize that’s a really low estimate. It’s probably more like well over $100/year for the last 10 years. Could this be true? Ugh, best not to think about such things. Do you have a favorite marking tool?